One Brain Payroll For All! personalized strategy session to know how. 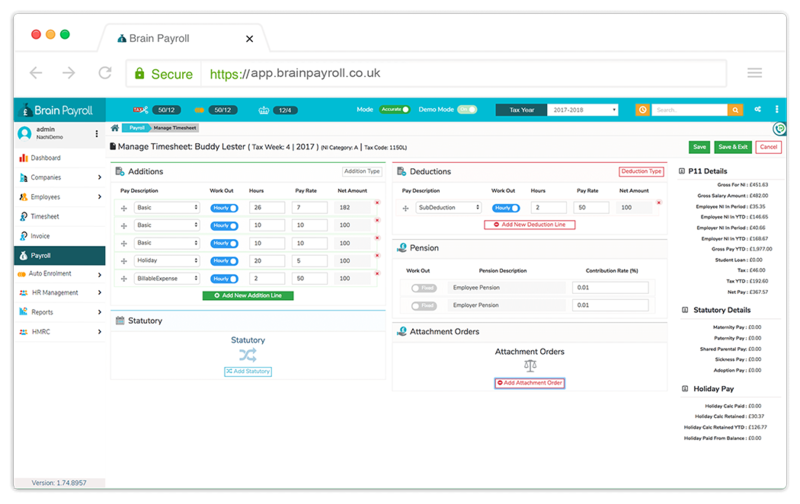 Brain Payroll significantly reduces manual workload. 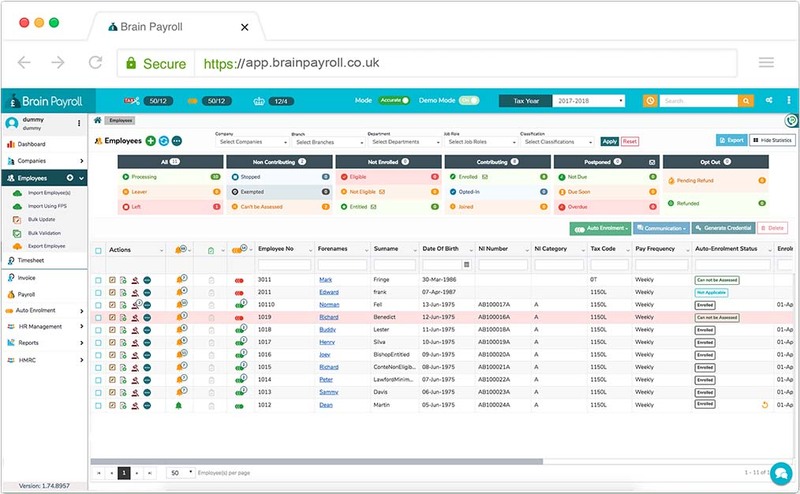 100% cloud based software to do your payroll. Intuitive & comprehensive solutions integrated. 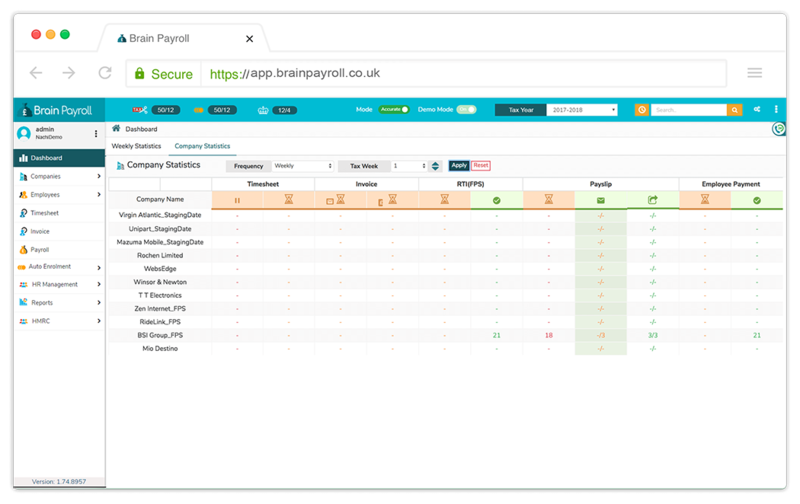 Brain Payroll helped us to scale our business at the speed we needed and at exceptionally affordable rates. 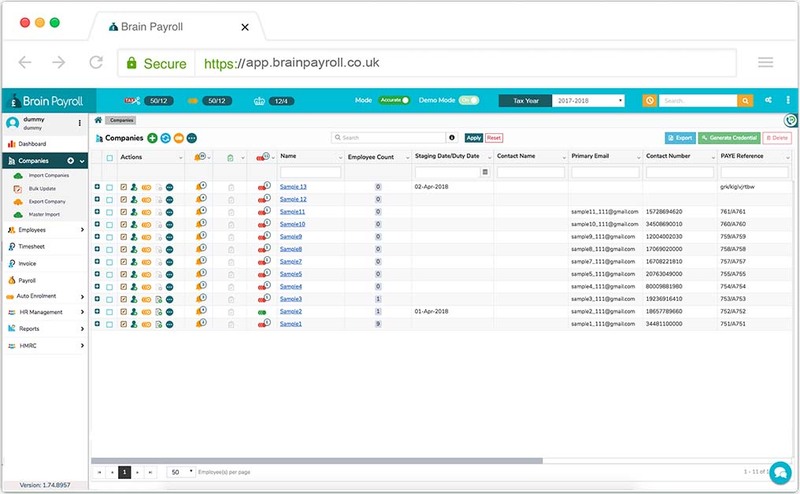 I highly recommend Brain Payroll. 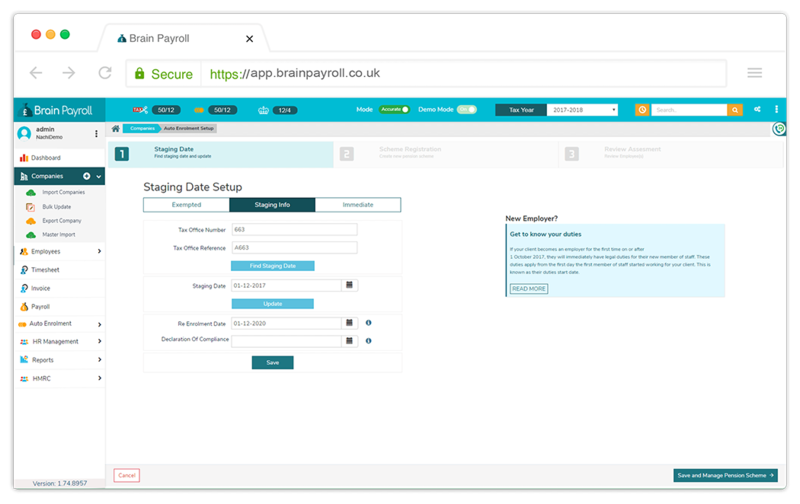 Starting up was trouble-free with knowledgeable people at Brain Payroll. I got full team support at any time. 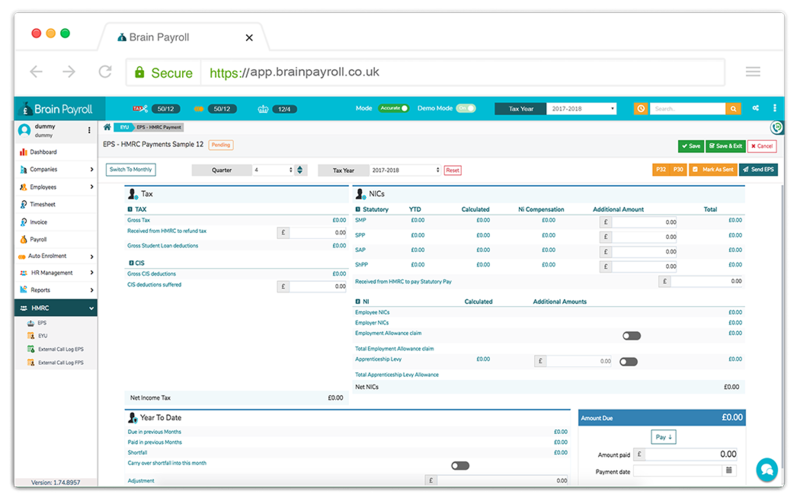 With Brain Payroll, payroll functions are not daunting anymore. I just had to follow the steps and enter the information. 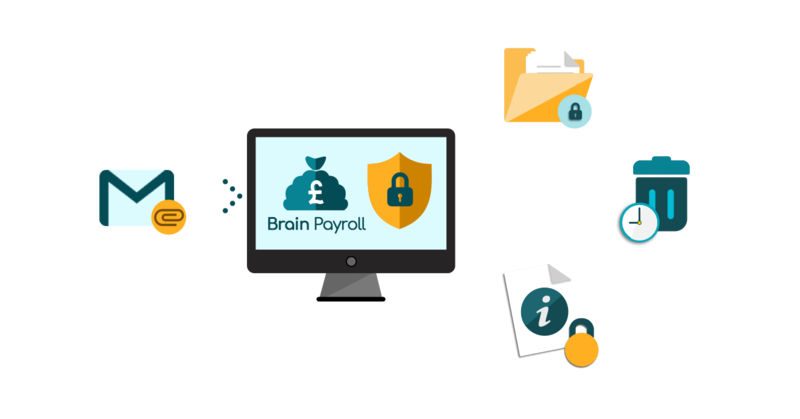 Brain Payroll has simplified the payroll functions for us. All cumbersome payment calculations are now done with ease. We engaged them on 4 new projects of which they have delivered 3 on time and above expectations. Team is friendly and helpful. The culture fosters hard work and fun.It has productivity oriented environment. 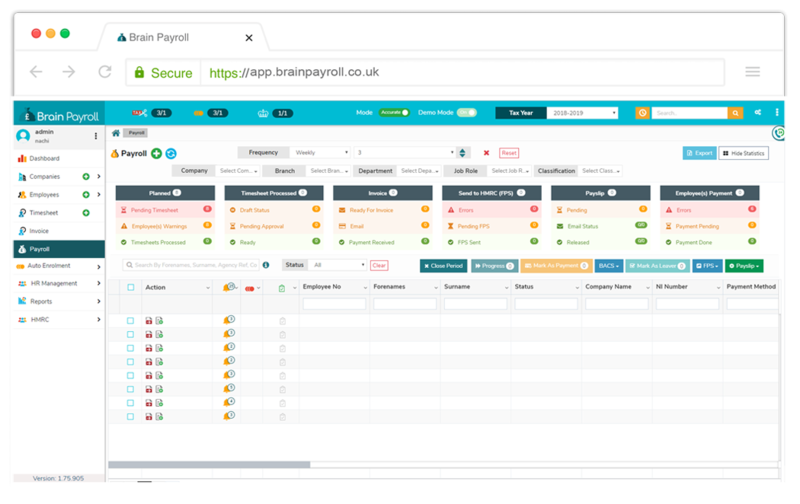 Brain payroll is an HMRC recognised and a GDPR compliant, cloud-based payroll Software. It has a high-speed payroll engine which does 1 million payroll calculations in seconds. 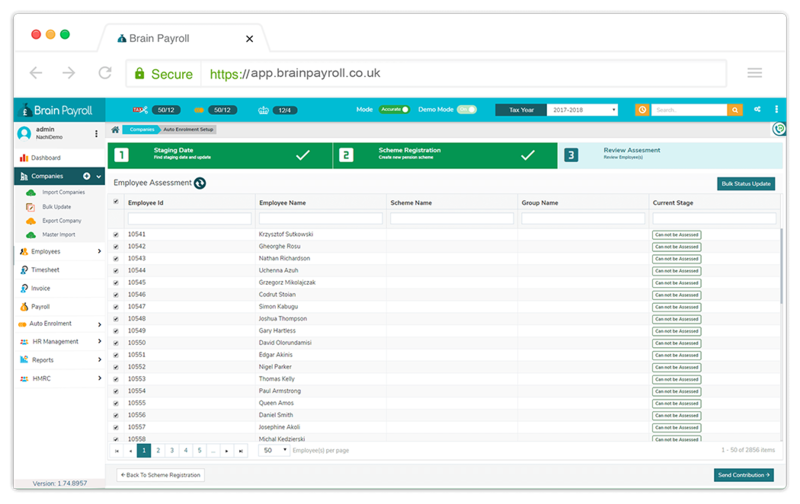 It automates every payroll task from timesheets to payslips (and everything in between).  The software has a true multi-company and bulk processing features; which saves minimum 30% and upto 60% of the payroll processing cost. Brain Payroll has 2 modes. 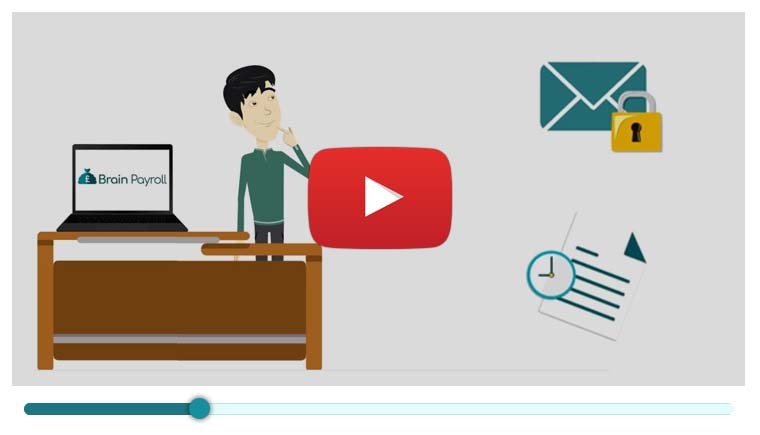 Process 1 million payroll records in just few seconds. 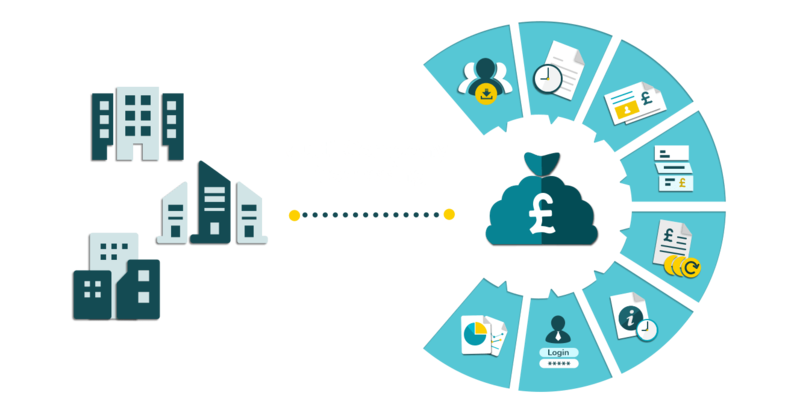 Process payroll for multiple companies in a single click. Bulk update details for companies and employees. 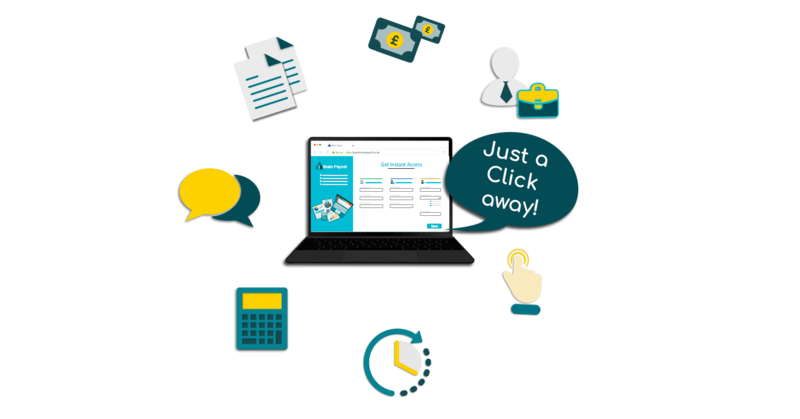 Single payroll processing screen for timesheets, pay-slips, BACS, pension and RTI submission. 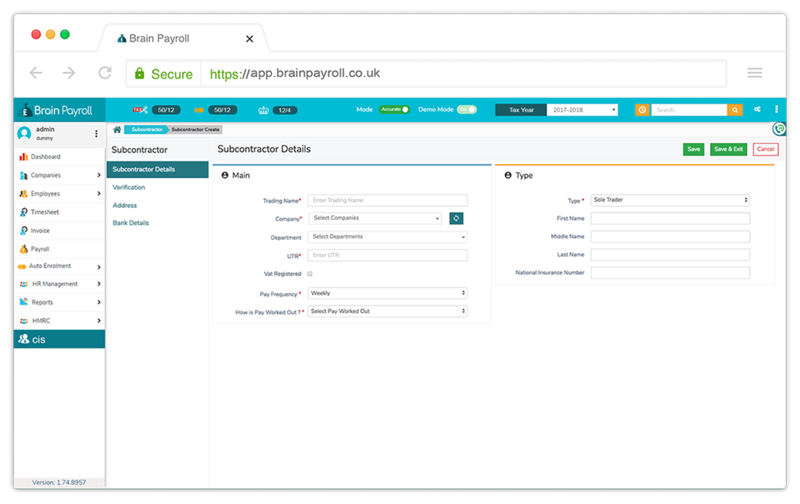 Bulk process payroll for multiple subcontractors. Supports monthly, weekly, daily payments. Add material cost and VAT. Record daily and hourly rates. Send CISREQ subcontractors verification request to HMRC. Send documents to multiple employees and keep a track. Automatically calculate Tax, NI, Student Loan deductions, AEO, holiday pay, statutory pay. Supports SSP, SMP, SAP, SPP & ShPP calculations. Supports Smart Pension, NEST, Pension Now and People’s pension. Set up pension schemes instantly. Automatically assess and enrol employees. 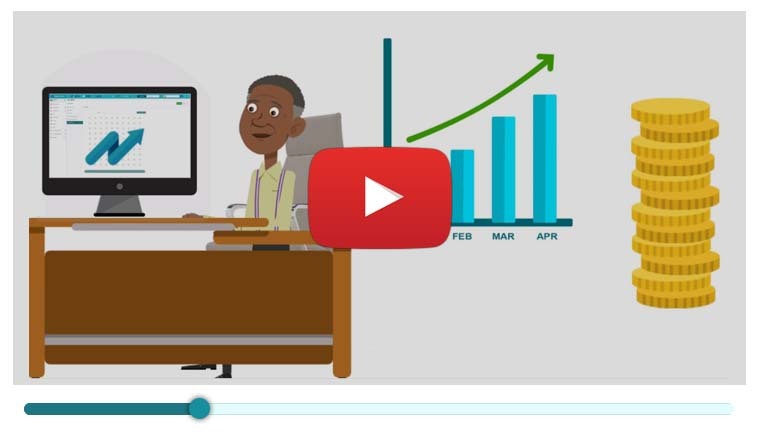 Automatically calculate and send pension contributions to various pension schemes. Send pension communication letters in bulk. Sync companies with scheme easily. External call logs for pension contribution. Accrue holiday hours and days. Holiday pay ledger for each employee, to keep a track. Alerts, if holiday payment is more than the accruals. Add unlimited attachment orders to an employee. Automated deductions according to the priority of the order. 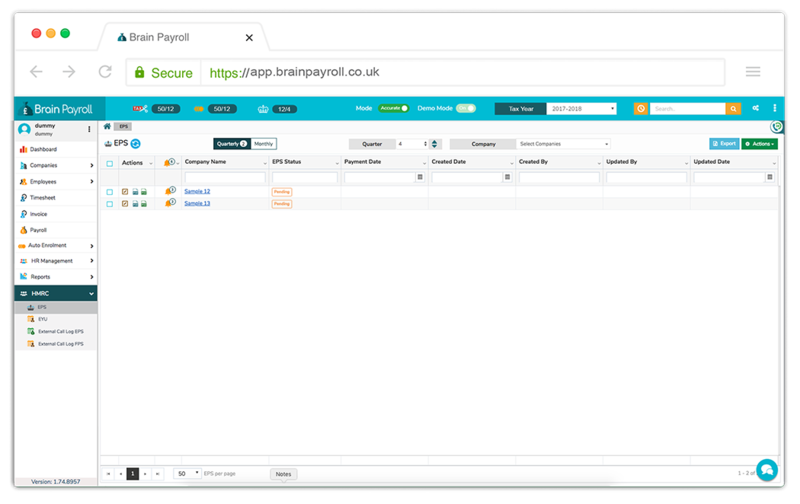 Restrict the view of confidential payroll data by creating payroll groups. Create multiple payroll groups and assign users to the groups. Keep the confidential payroll data secured. Restrict visibility for the user by assigning Roles and Permission sets. Assign multiple permission set to a user. Keep the payroll data secured. 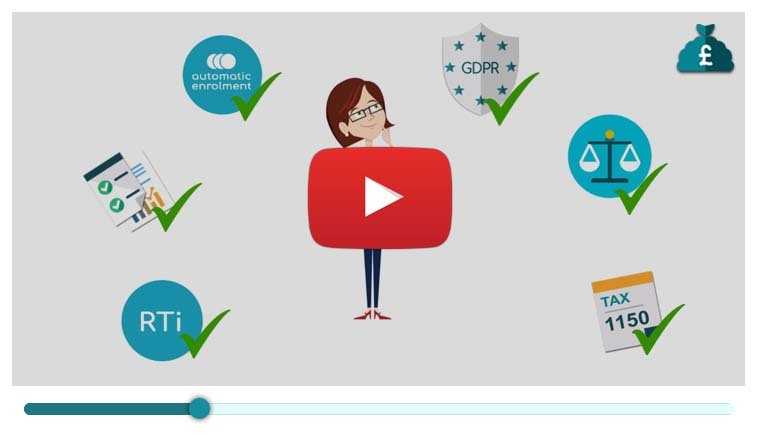 Email data to a secured email box, which is automatically monitored, encrypted, protected and self-destroyed after processing. 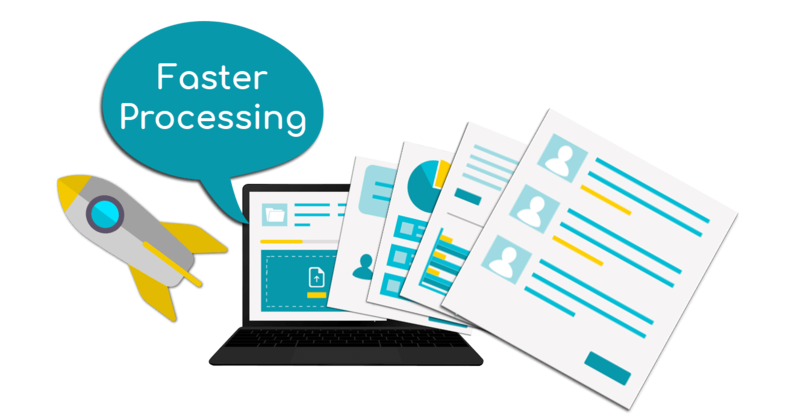 Ultimate data masking and data leasing feature that prevents data leak at any source. Password protect the documents or even auto-destroy in days. View logs for masked data views. Archive company and employee data. Employee can login to their portal to access their payslips, pension communication letters and other documents like P45 and P60. Employees can apply for leaves and view the balance through the portal. Employer can login to their portal to see the payroll updates. Employer can view/ approve reports received from the bureau and also send bulk documents to employees. Partner can view their assigned company’s data through the partner portal login. 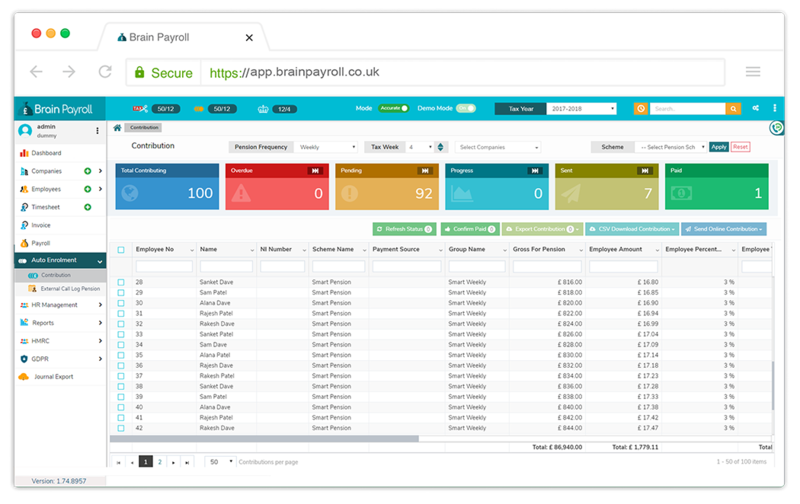 Alerts and payroll warnings at every stage of payroll processing. NMW and Pay variance alerts. Resolve or delegate the alerts to another user. Download the alerts in PDF format. 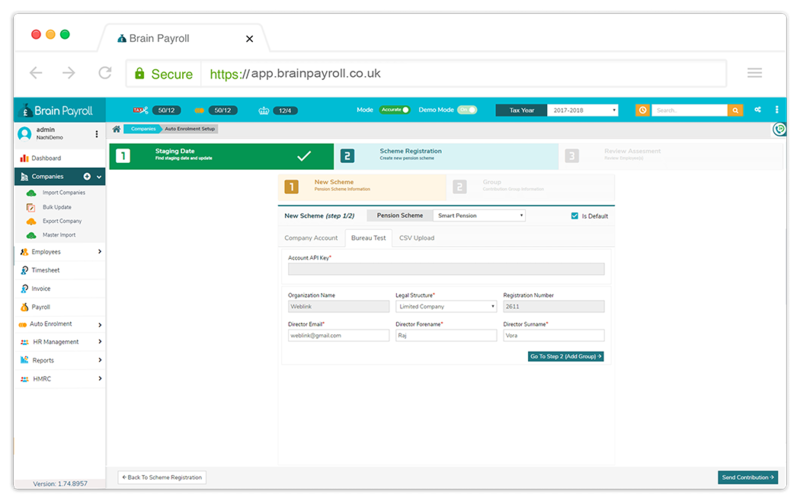 Keep a track of the payroll process through the live dashboard. Send FPS, EPS, Corrective FPS, EPS and EYU in bulk for multiple company. Track HMRC submissions on monthly and quarterly basis. 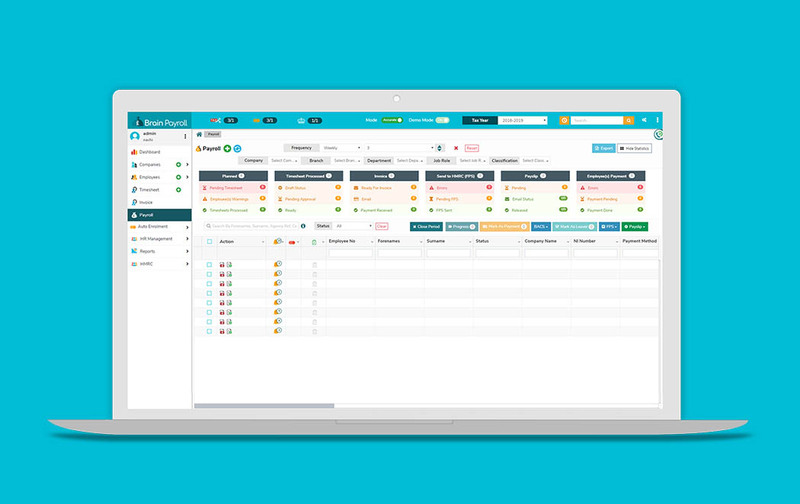 Schedule reports across multiple clients and automate emailing, uploading and exporting. Provides customisable and bespoke reports. No matter how large or small the workforce is, workflows are needed to run a business. From import of company employee details to processing of timesheet, invoices and generating FPS, workflow can be customised as per the requirement to meet the business processes which improves efficiencies, reduces paper usage and errors and makes compliances easier. 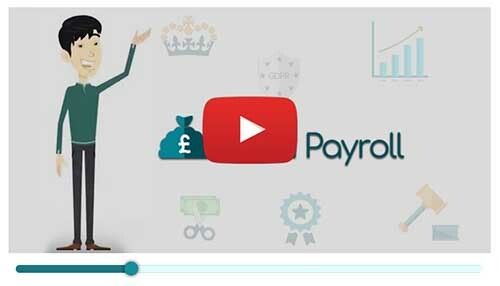 Now managing your payroll data will be easier than ever before. 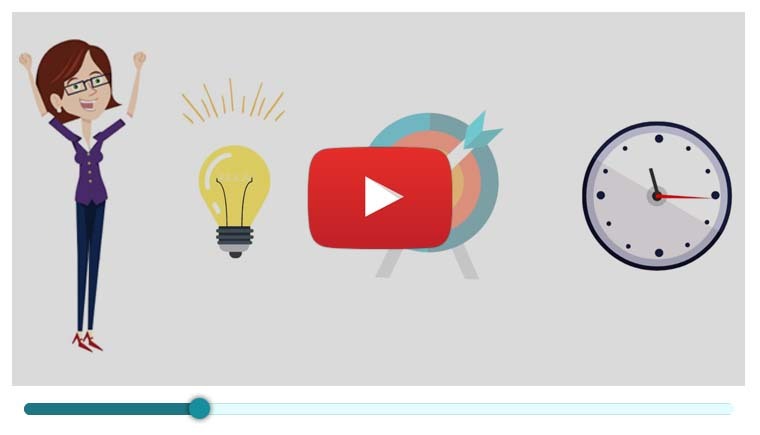 Upload data in bulk and export them in organised files in just one click. Quick error-free uploads directly in Brain Payroll helps hasten the work. Create a simple CSV/Excel payroll journal for import of timesheet in the system. Other Bulk data can also be imported for company details and employee details making the process rapid. Import employee information and if applicable mid year totals to date using a Full Payment Submission (FPS) file created in the previous software. Bulk employee data can be imported in system. Export all Required data like employers details, employee details, timesheet in CSV/Excel format in just one click.